Making a video of your childbirth may sound like a great idea, but it will take a little preparation on your part to make sure you capture the experience the way you want it. Whether a family member makes your video or you ask an amateur or professional videographer to do the job for you, be sure to think about the following aspects weeks before you are due to go into labor. 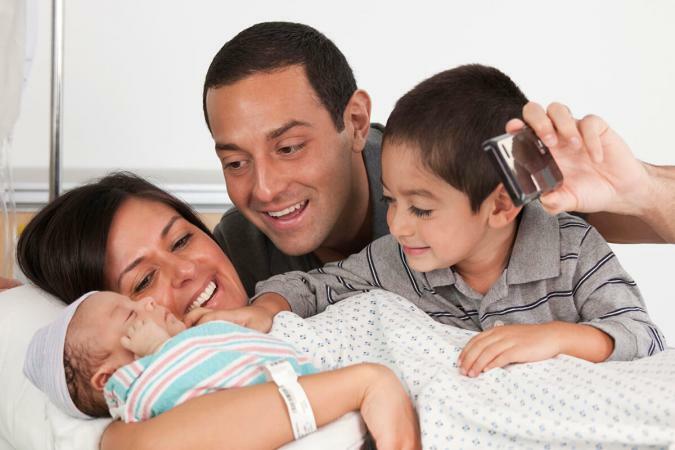 The following aspects may not come to mind right away when you're thinking about having a video record of your child's birth, however, these are important points to think about and address so that the delivery goes safely and smoothly. Making a video of your childbirth that you are willing to let others view means giving clear directions to the person taking the video of what you would like captured for posterity. In other words, do you want to see shots of the baby's head crowning and the actual birth, or would you feel more comfortable if you had a video shot only above the waist, where family, friends, and the newborn child take center stage? If you live in a metropolitan area, there may be several local videographers experienced with capturing labor and delivery on film. While professionals who only do childbirth videos may be rare, artists who make wedding videos may have done a few birth videos before. Ask for recommendations from your midwife, birthing center, or obstetrician as they may have worked with a videographer before. If you cannot find a professional, the next best option is to find someone who is comfortable operating a video camera and who is not involved in other roles during the childbirth. The expectant partner and the birthing coach are there to help make you feel as comfortable as possible and to focus on the task of bringing your child into the world. You will also want to choose someone else whom you will feel comfortable sharing this special moment with. Use a tripod when possible. Shaky hands can ruin some of the most precious moments. Avoid excessive panning and tilting, meaning a lot of horizontal and vertical movement. Doing so will often result in blurred shots. Specific to making a video of your childbirth, avoid excessive thigh shots. No one wants to watch ten minutes of nothing but thigh when you could be capturing the father holding his wife's hand and urging her to push, or the look on the mother's face as she pushes through another contraction. There is more to the event than the birth. Just as you might record the crowd's reaction at a ballgame, you will want to include family and friends on the tape. If possible, bring backup batteries or a charger for the camera. For more tips, visit the extensive filming glossary and video and editing instructions at Media College. Before labor really intensifies, you may want to capture moments of the parents-to-be spending time together in the hospital preparing for the birth. If others are in the room, taking in moments of them excited and anticipating the birth can be really special. If permitted, a shot of the baby crowning is a truly unique reminder of how incredible the human body is. The moment the baby actually emerges can be shot from the mother's point of view, or the doctor or midwife's point of view, depending on the comfort level of the mother, and is one of the most exciting aspects of child birth. Right after the baby emerges, filming the umbilical cord getting snipped and the baby being placed on the mother's chest is a raw, special moment. Another wonderful moment occurs a few minutes after the birth when it sinks in that the couple now has another addition to their family. You will need an editing program, such as Adobe's Premiere Pro or Apple's Final Cut Pro. Select small segments of video ranging from 20 to 40 seconds for the labor part of the video as short segments will hold viewers' attention better. Splice these labor segments together using various transitions. Set the final version to one or two songs, asking the new mom and dad for their favorites. Create a progression in these labor segments so that the tension in the film is rising just like it did during the actual event. Create a longer segment that shows the actual delivery, regardless of whether the film shows the baby crowning or not. This longer segment will end in a shot of the baby in her new surroundings. Conclude the edited video with a few short shots of the parents with the baby, as well as any other shots of family or friends, or the doctor checking the baby, etc. Aim to keep the part of the video that shows after the birth short and sweet, with a wonderful song as background music. Rule one in making a childbirth video is that the medical staff and the child birthing event take precedent. If you are making a video, remember to stay out of the way, and if you are asked to leave, do so. While childbirth videos are wonderful mementos of an unforgettable experience, the well-being of the mother and child is the most important concern for everyone present at this event.